shibaa987 1 year, 4 months ago. If you like this ROM and want to motivate the developer, the donate to corphish. THIS IS AN INITIAL BUILD WHICH MAY NOT BOOT AT ALL OR EVEN IF IT BOOTS IT MAY HAVE MANY BUGS. HAVE A BACKUP OF THE CURRENT ROM BEFORE FLASHING THIS ROM AND TRY AT YOUR OWN RISK. Installing a custom ROM on a Xperia L (taoshan) requires the bootloader to be unlocked on the Xperia L (taoshan) phone, which may VOID your warranty and may delete all your data. Before proceeding further you may consider backup all data on the phone. You are the only person doing changes to your phone and I cannot be held responsible for the mistakes done by you. Download and Copy the GApps and Lineage OS 14.1 for Xperia L ROM ZIP to your phone. First flash the Xperia L Lineage OS 14.1 ROM ZIP from device. Then flash the GApps zip from your device memory. Reboot and Enjoy the Nougat 7.1 Lineage OS 14.1 ROM for Xperia L (taoshan). 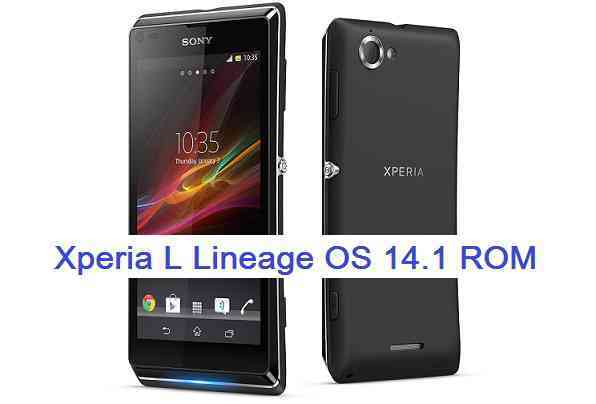 Copy the latest Lineage OS 14.1 for Xperia L ROM ZIP file to your phone. Stay tuned or Subscribe to the Xperia L (taoshan) forum For other Android Nougat ROMs, Lineage OS 14.1 ROMs, other ROMs and all other device specific topics. I installed recovery(CWM,TWRP) to my Xperia L C2105.After that when i’m turning on my device it’s automatically going to recovery mode every time.Need a solution for that. @polock can you tell what is the TWRP/CWM version are you using?? I am not 100% sure, but it could be a recovery issue. Similar issue happened with me on Nexus 4. @santiago_quiroz_upegui can you please tell which TWRP version are you using?? Also can you help polock for his problem?? I used CWM Advanced Edition PhilZ Touch and got that problem.When OS Installed successfully and recovery has gone,i installed that recovery again.After that every time my device starting in recovery mode. The CWM appears to be a build from 2014. Can you try with the latest TWRP recovery provided in the Downloads link and tell me if you can boot into this ROM?? The ROM is excellent, but when I touch the display with two fingers or more the touch has a bug and I need to reset the device. Is this the issue with TeamButter’s build or corphish’s build ?? Teambutter has frequent updates. I recommend to use his builds (if you are not using). Sorry my friend, I used a nightly version. I had not realized. So which one is more stable, TeamButter’s build or the NIGHTLY build ? ?